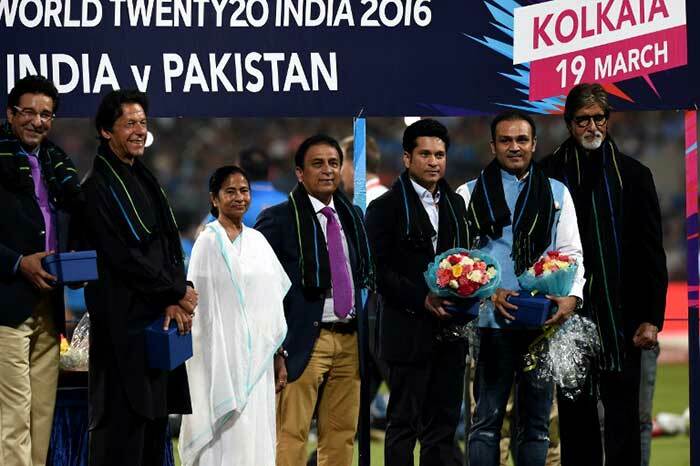 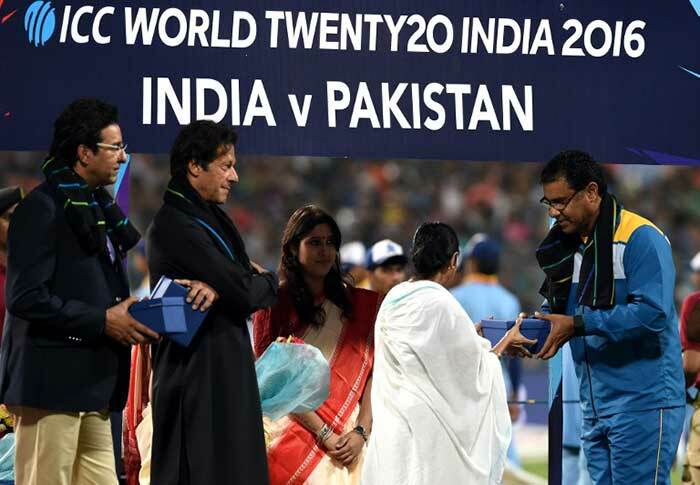 Cricketing greats Imran Khan, Sunil Gavaskar, Sachin Tendulkar, Wasim Akram, Waqar Younis and Virender Sehwag were felicitated by the Cricket Association of Bengal ahead of the India vs Pakistan World T20 clash. 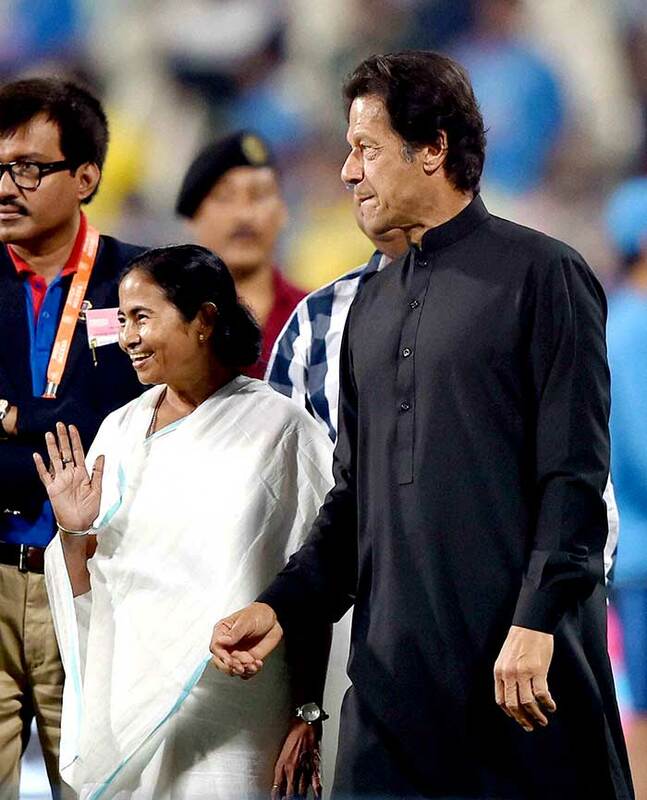 Pakistan's World Cup-winning captain with West Bengal Chief Minister Mamata Banerjee. 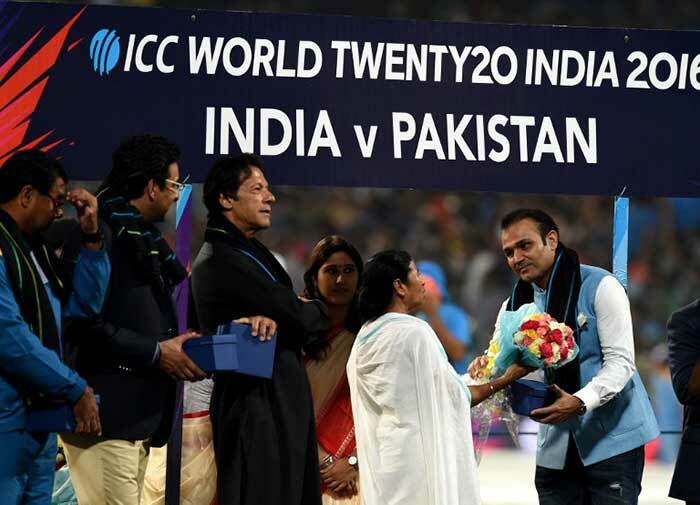 Virender Sehwag receives a bouquet from Didi. 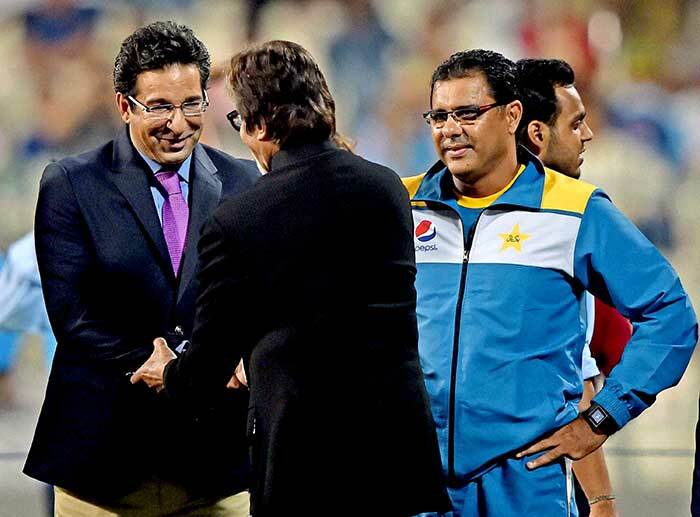 Pakistan coach Waqar Younis was also among the greats t be honoured. 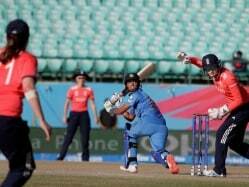 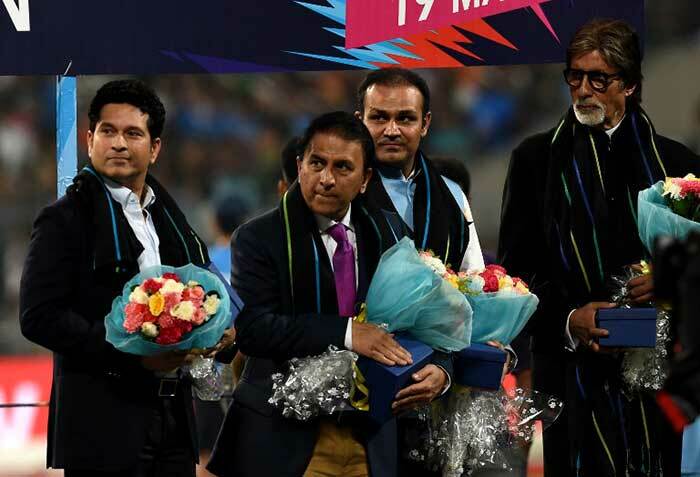 Bollywood superstar Amitabh Bachchan was also feted by the Cricket Association of Bengal. 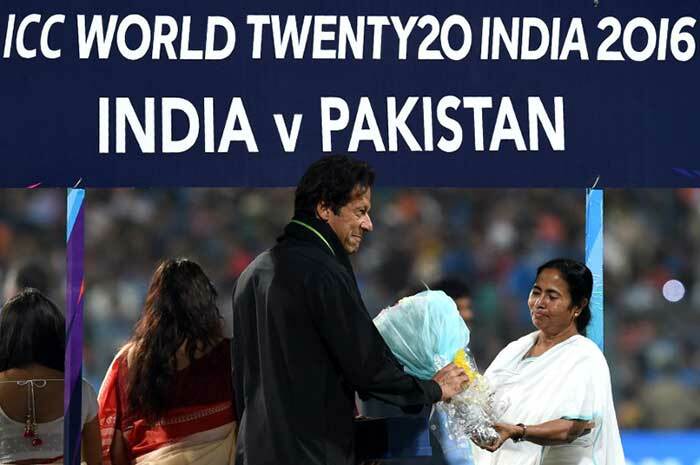 Imran Khan thanked the people of Kolkata for such a warm reception. 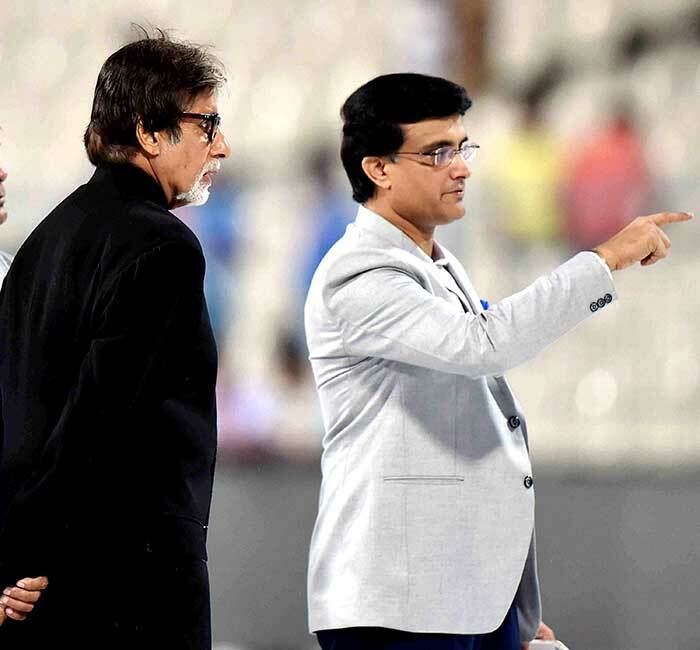 Big B and Pakistan singer Shafqat Ali got the India vs Pakistan clash off to a patriotic start by singing the national anthems of the two teams after the toss in Kolkata. 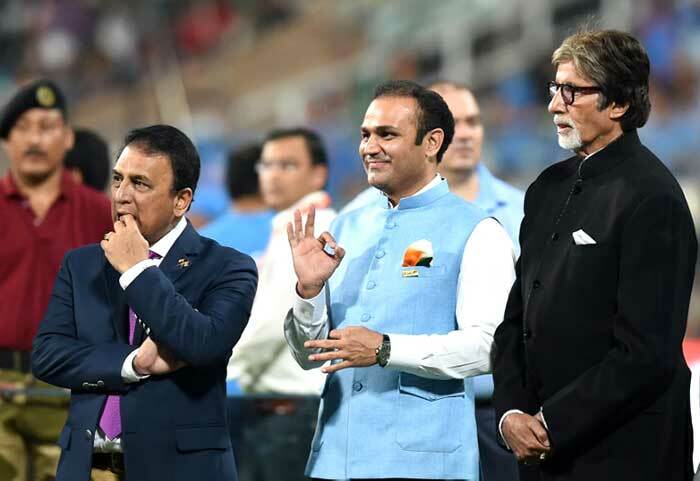 Bachchan sang the 'Jana Gana Mana' in his famous baritone voice backed by a boisterous 66,000-capacity Eden Gardens crowd while Shafqat Ali wowed the fans with 'Qaumi Taranah'. 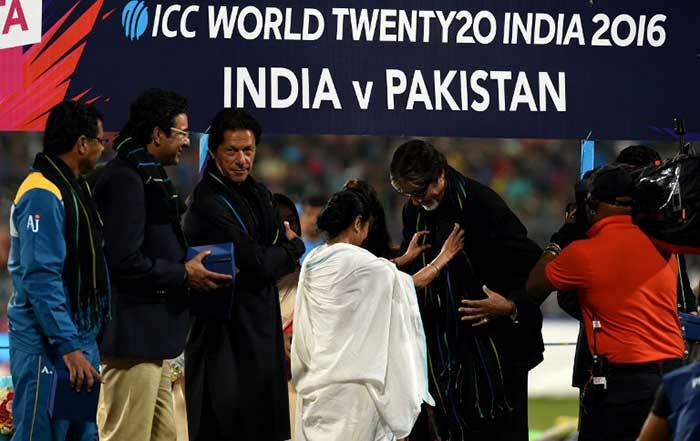 Big B greets Wasim Akram and Waqar Younis. 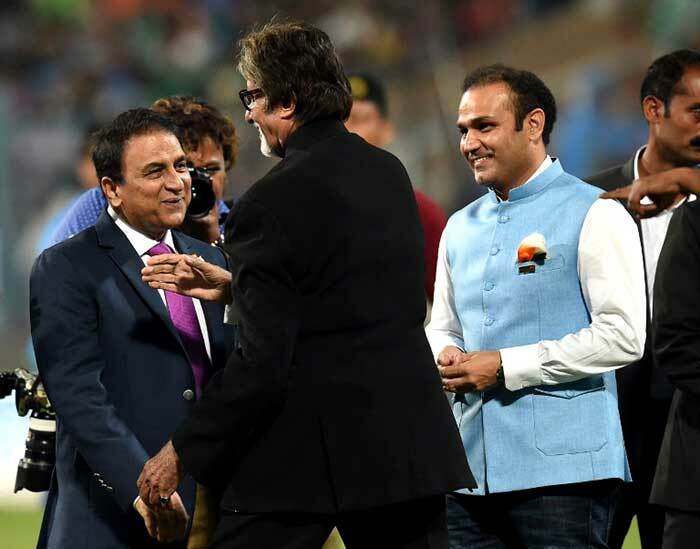 Sunil Gavaskar and Virender Sehwag have a light moment with Amitabh Bachchan. 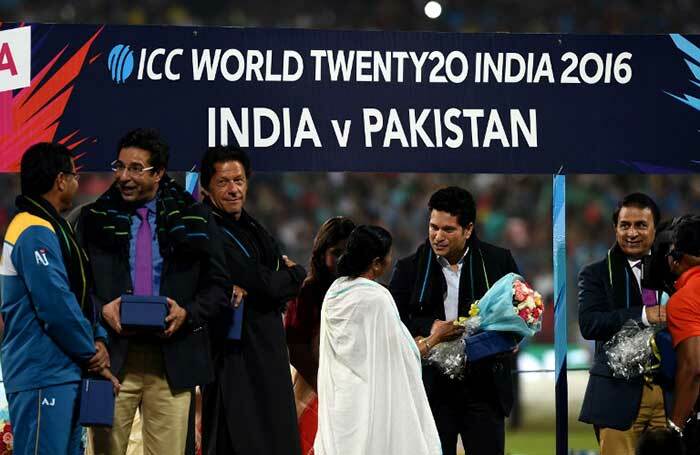 An excited Sachin Tendulkar, who was also present to grace the occasion, welcomed Shahid Afridi's team.